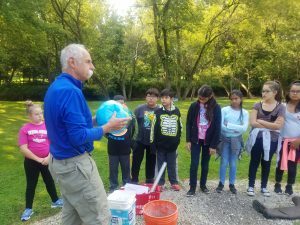 Educate citizens about environmental conditions, threats and opportunities in the Fox River Watershed. Manage Outreach Education operations. This includes staff, equipment, communications, scheduling, financing, data management and field procedures. Manage educational displays, activities, scheduling and presentations at events. Develop/improve formal Outreach Education programs/curricula as needed. Develop and implement informal education programs and curricula at Schweitzer Environmental Center (S.E.C.). This includes Watershed Academy (informal adult environmental education) programming and development of an Education Advisory Council (AKA Education Think Tank). Engage School District 300 staff in expanding SEC useage. We are always looking for environmental educators experienced in formal, and informal educational settings.